Say Hello to the Sitka Camp Chair! If there’s one thing we like as much as doing fun things outside, it’s chilling comfortably outside (after doing fun things outside). 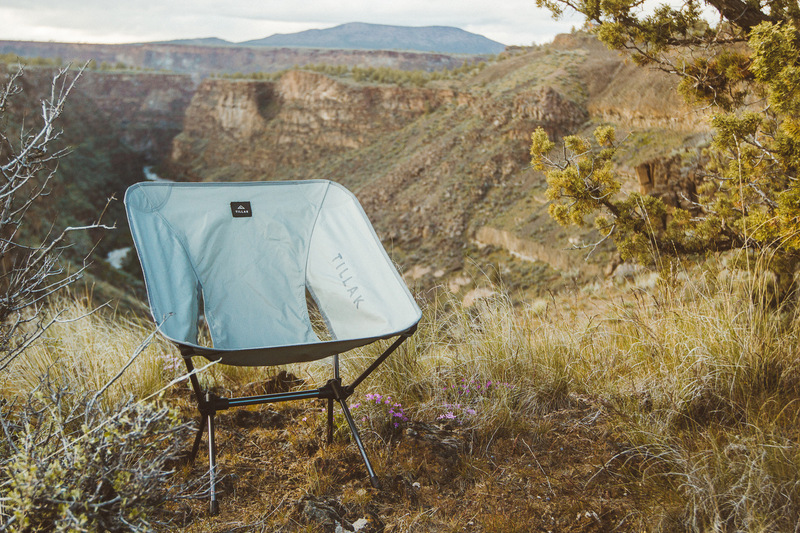 So after years of perching awkwardly on cold rocks, sitting on splintery logs, or simply standing under the stars, we figured it was time to make something tough enough, compact enough, light enough, and - most importantly - comfortable enough to take a load off anywhere and everywhere. When we finally sat down (get it?!) to design the Sitka Camp Chair, we had a few major requirements; we wanted a sturdy, robust design, a collapsible and portable modular form, and an overall aesthetic that was sleek enough to be as suitable for stargazing in the woods as it is for a backyard barbeque. On top of these lofty goals, the gram-counters of our team mandated a sub-2 pound weight, and the gear-breakers of us pushed for a 300lb weight capacity. Meet Sitka – svelte, sleek, and coming in at a scant 1.75 pounds; it is the end result of many months of designing, testing, and sitting. With the ability to comfortably carry up to 300 pounds of outdoor addict, the Sitka can likely support you and a fellow stargazer, or a pile of up to ten small children (that’ll keep them busy!). The Sitka can even comfortably sit one half of a moose, so just make sure they keep their front hooves on the ground should they decide to take a load off in your campsite. 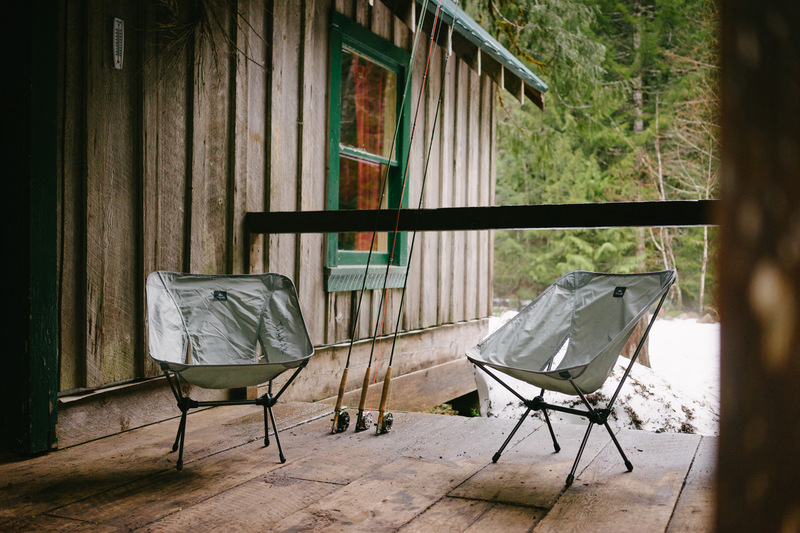 Cabin lounging with the Sitka on a recent fly fishing trip in Western Oregon. At the end of the day, we are excited because we now have a product that accompanies us on camping and climbing trips up in the mountains, to the beach for lounging between surf sessions, and to the backyard for comfortable beer sipping with friends. And because of it’s small size and sleek design, more than a few have already taken up permanent residence in the trunks of our cars and our cabinets at home, to ensure we are always adequately prepared for any unexpected relaxation emergencies. So now we can chill, because we know we are always ready to chill. So grab a Sitka and take a seat anywhere! You’ll never regret being comfortable, we assure you.